Build, manage, and grow your event with no startup fees. Connect your events with local San Diegans. Get in front of your exact target audience with lower fees and our easy-to-use ticketing platform. San Diego Tix’s one step purchase process is not only streamline, but safe and secure. Organizing events can be tough (and expensive!) which is why we created SanDiegoTix. Our team has been in the media and event space for over 20 years and know what tools event organizers need to run a great event. From start to end, we’ve got you covered. Cheaper than Eventbrite. Way cheaper. We love your customers just as much as you do! Which is why our ticketing fees are less than half Eventbrite with no startup costs . Ticket buyers pay only $0.75 per ticket + credit card processing fee. That's it. Your customers will thank you for it! We won’t hold you back from creating your event, selling tickets, and getting paid. Create your event in minutes and start selling when you want. Choose either SanDiegoTix Payment Processing to get paid after your event or SanDiegoTix QuickPay via Stripe. 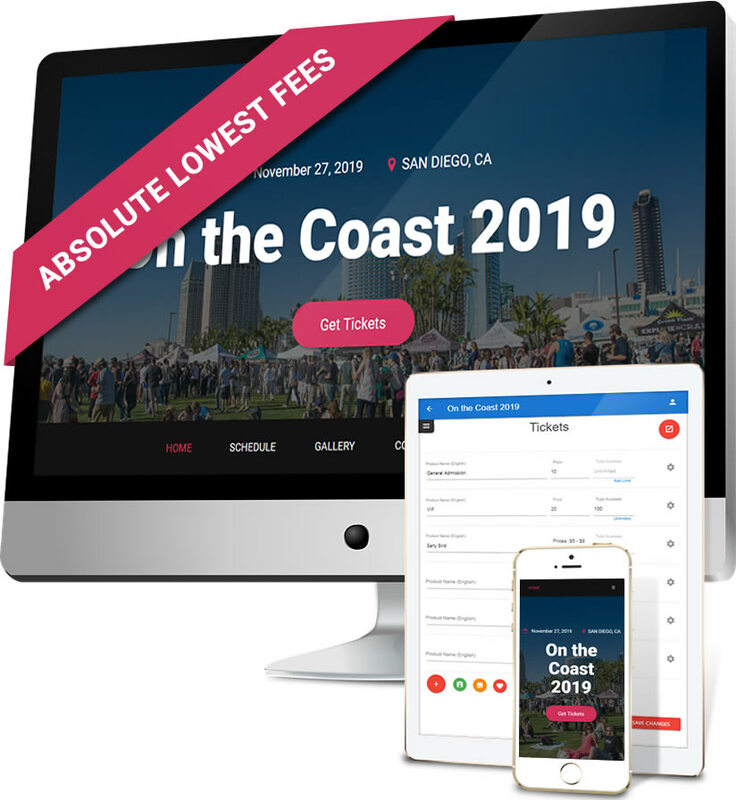 SanDiegoTix easily allows you to create stunning event and ticketing pages quickly - even with no technical expertise. Numerous templates, color customization options, text editors, and more - all formatted perfectly to fit on any device. Need to sell more than just tickets? We’ve got you covered. 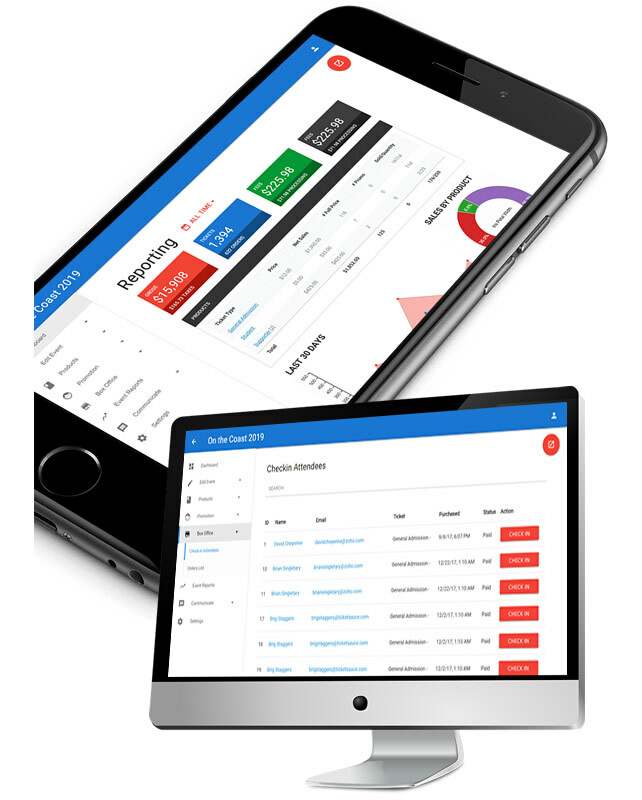 Easily create tickets, merchandise, and charitable contributions for whatever event you’re hosting. We take care of it all for you. From scanning QR codes with our mobile iOS app, to selling tickets at the gate - we give you what you need to get customers in the door. FAST. Our advanced promo code technology gives you the ability to easily offer promotions and discounts to customers, track order details, and increase conversion rates to put more money in your pocket. Communicating with your event attendees has never been easier. 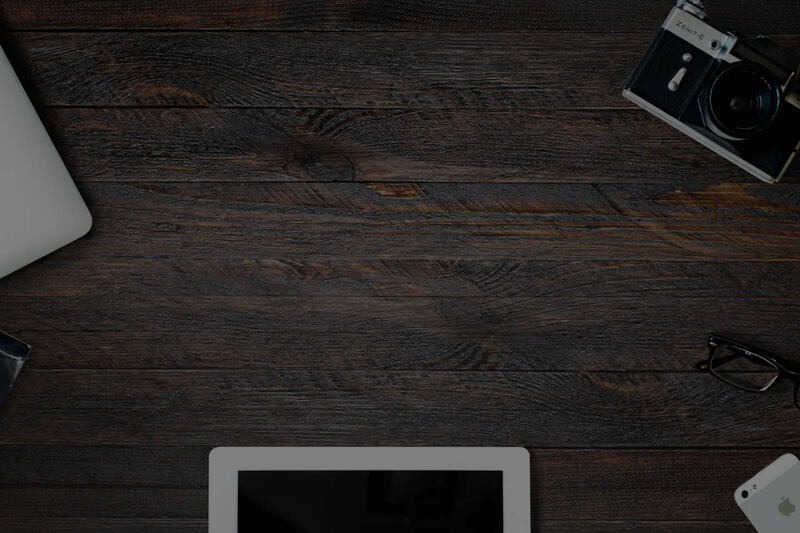 Send emails and text directly to customers through your event dashboard. No more hassling with 3rd party tools! Getting this info you need is critical to success, which is why we’ve created easy ways to get your event data faster. Create and download customized reports to get the exact information you need, when you need it. We're dedicated to making your event incredible! The best solution for local San Diego events.